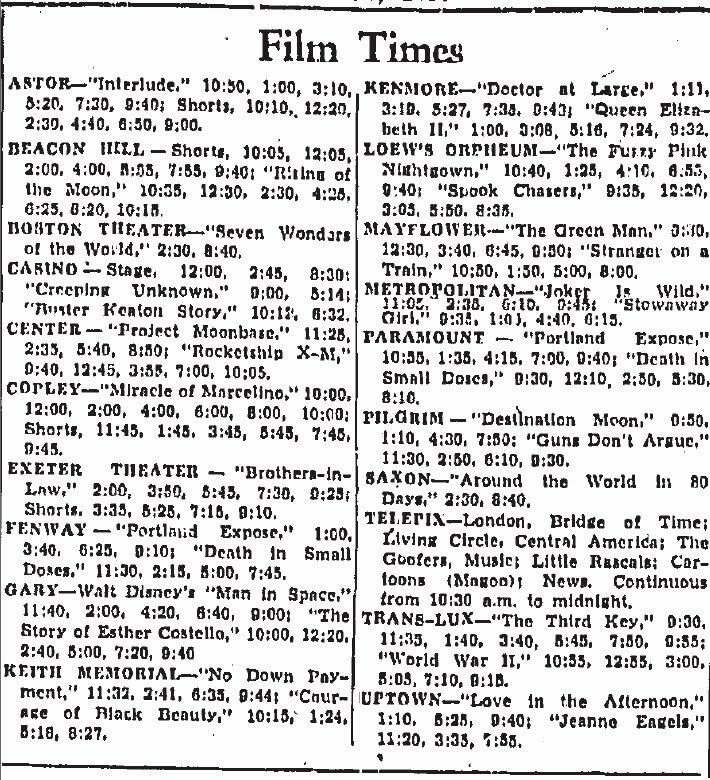 A place to explore all things "retro" as presented by our American newspapers. 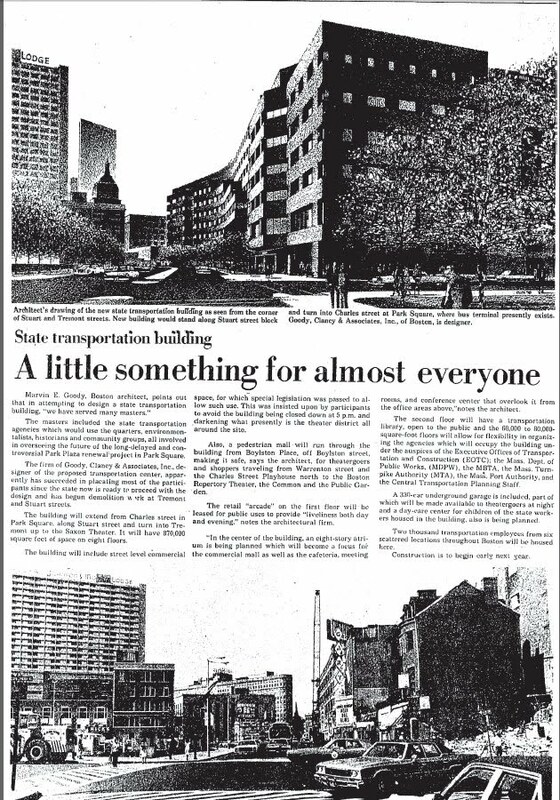 Hello, My Fellow Retro History Lovers! 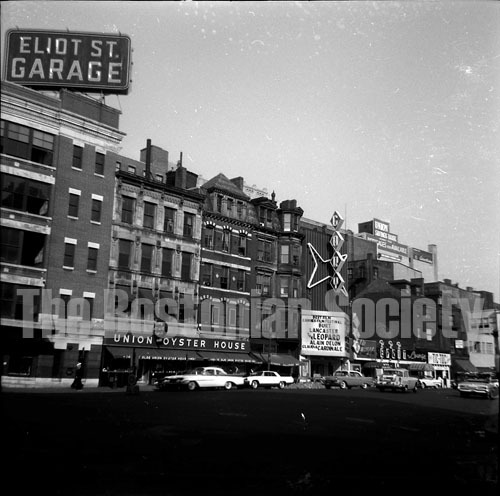 Today we are in Boston, Massachusetts…my beloved hometown…for a special update. 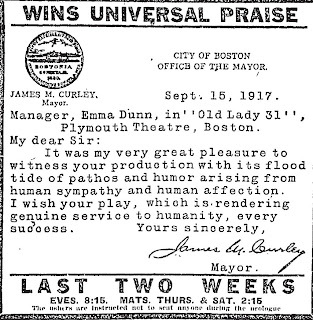 Boston like many American cities had numerous Theatres built over the years and many of those were converted to movie houses as the moving picture business “muscled in” on live theatre venues. 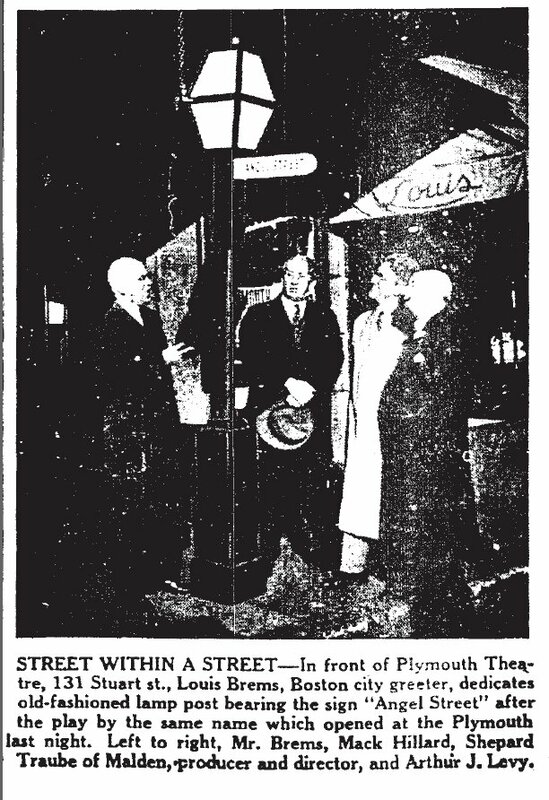 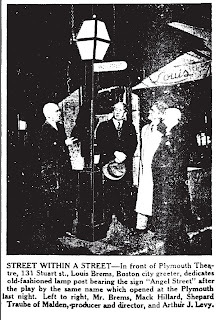 Looking back to the early 1900’s, Boston had a thriving and extremely lively nightlife. 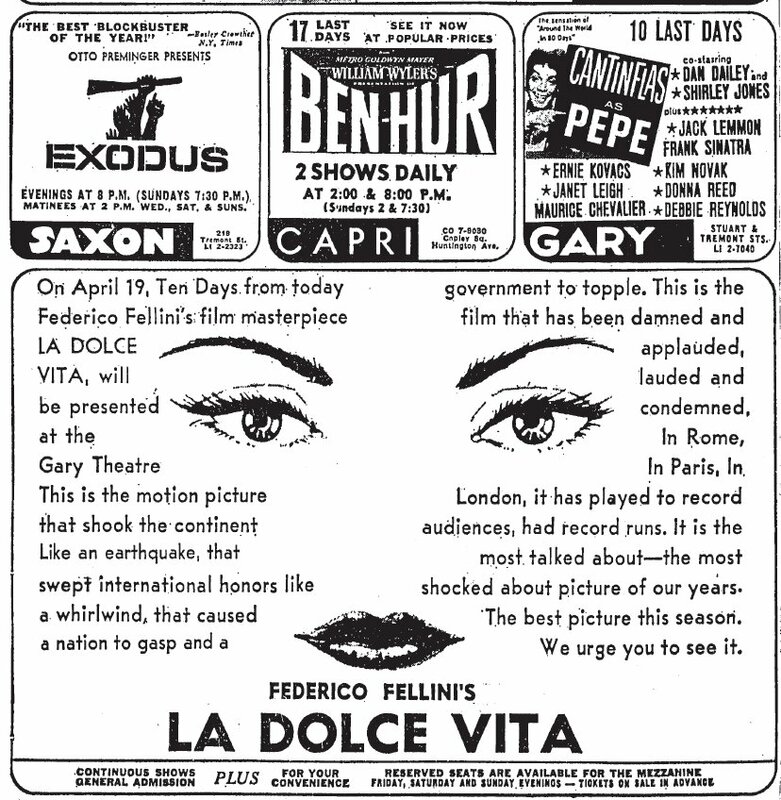 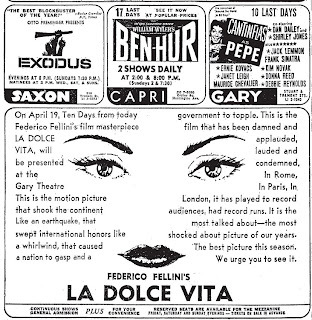 Theatres offering vaudeville, plays, musicals, concerts and readings/lectures filled the newspapers with advertisements displaying their weekly listings. 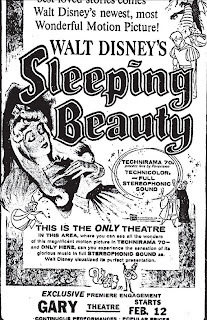 The early moving pictures only added to the fun and for a sweet time…live stage and filmed entertainments seemed to live in harmony. 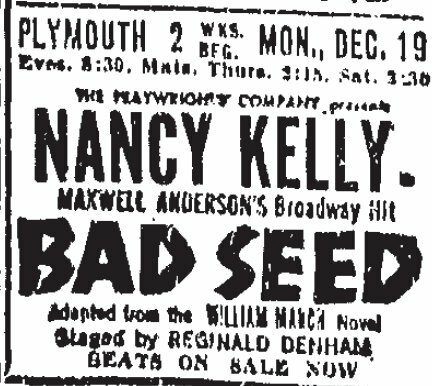 During this heyday of theatre madness…Clarence Blackall designed many of Boston’s best performances houses. 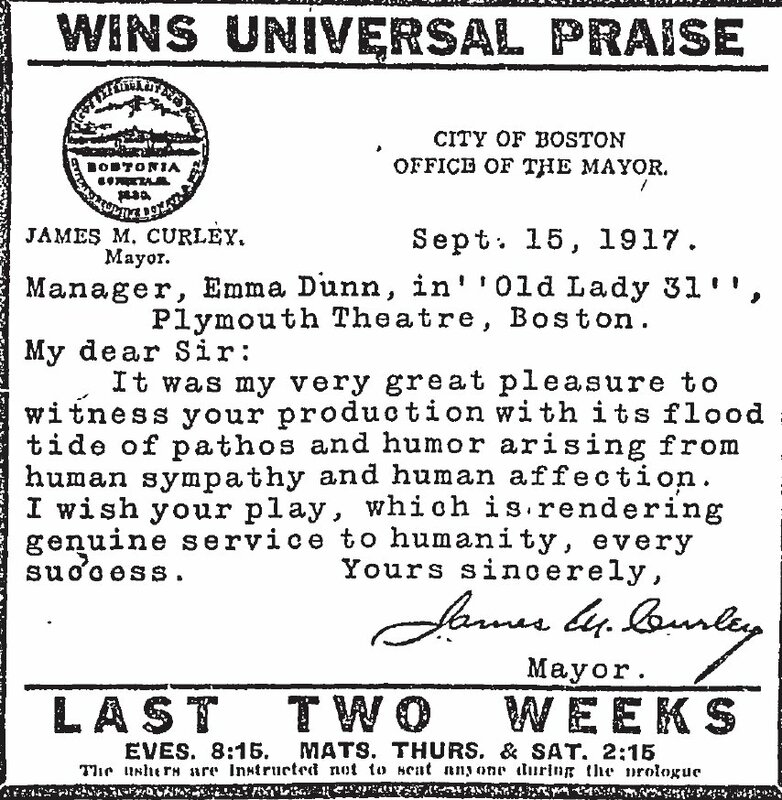 From the 1890’s to the 1920’s, Blackall was the man who left a huge mark on Boston theatre architecture. 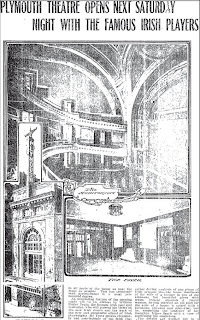 His theatres, each unique and tailored to the individual owner’s desires, were the cream of the crop and audiences were in awe of the spectacle each new one added. 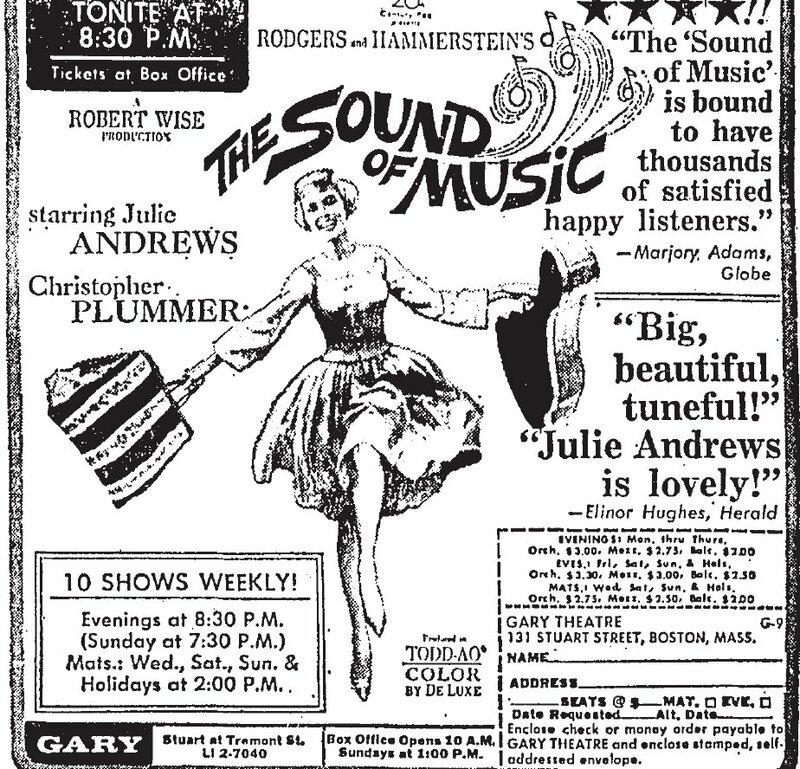 They were not all showplaces…The Metropolitan Theatre (The Wang Center) was probably the most lavish of the Boston group…most were handsome, pleasing to the eye and acoustically well engineered. All seats had a fine view of the stage and Blackall specialized in the “intimate feel” in many of his theatres. 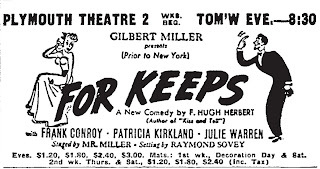 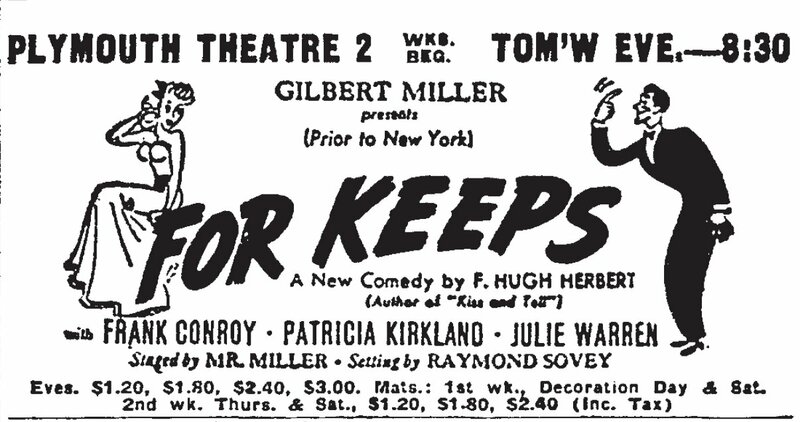 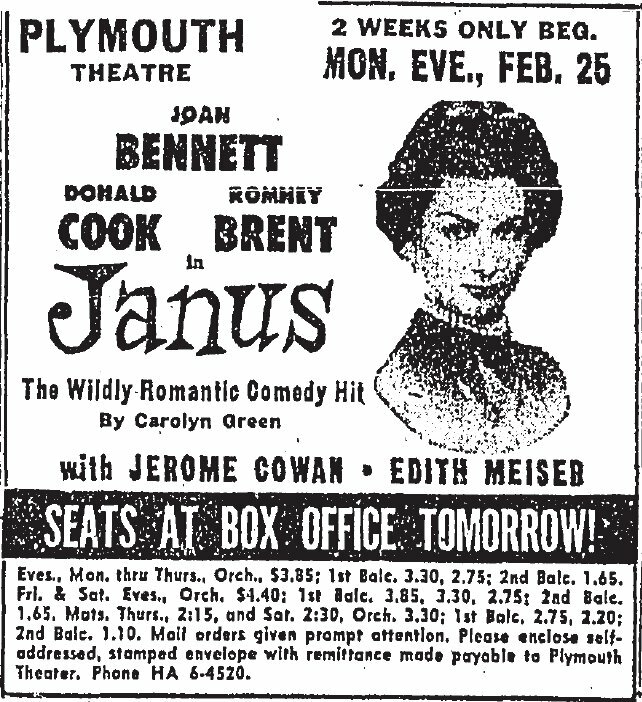 One of his many Boston gems would have turned 100 this year if it had not been torn down in 1979-80 during the redevelopment of Boston’s theatre district. 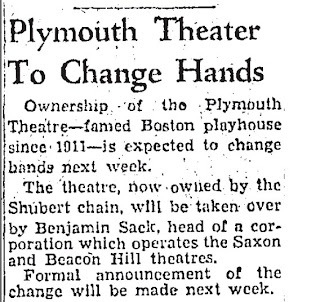 The Plymouth Theatre built in 1911 and opened on September 23 of that year. 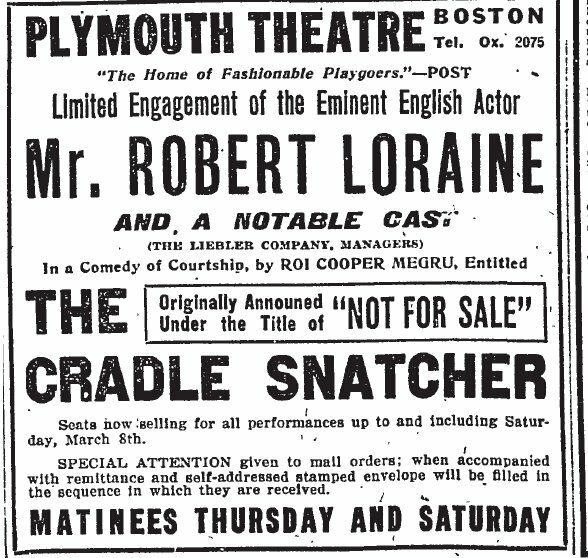 Located on Eliot Street which later became part of Stuart Street, it boasted seating for 1500audience members and a dignified, horse-shoe curved arched, autumnal shaded auditorium with that “intimate feel”. 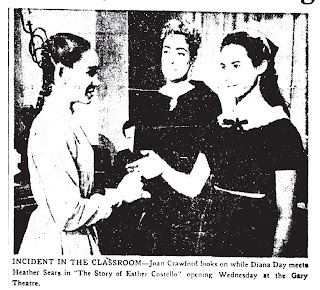 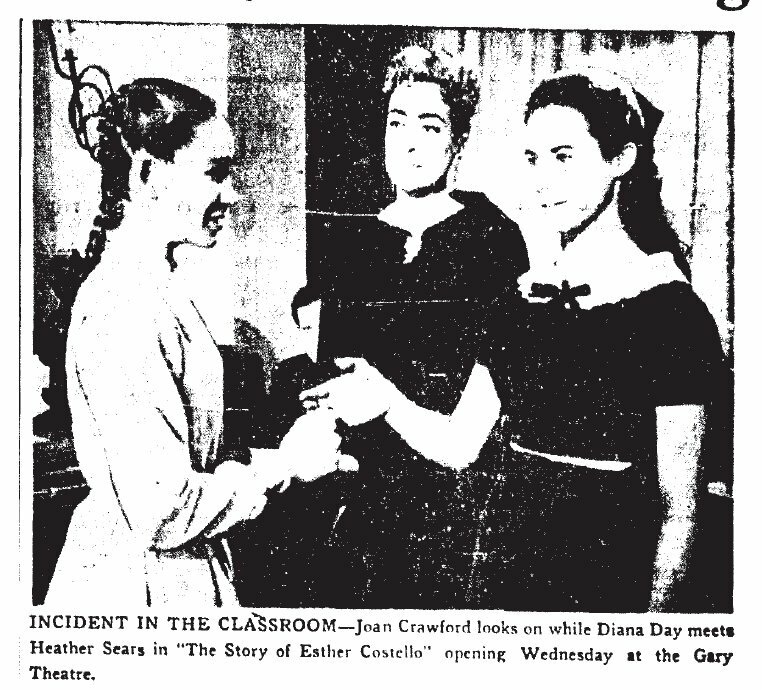 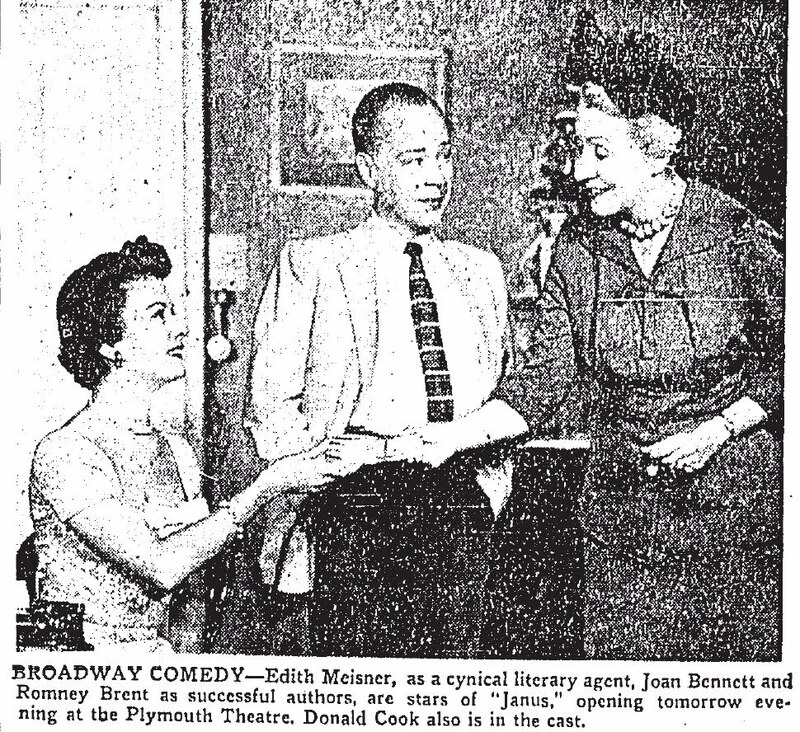 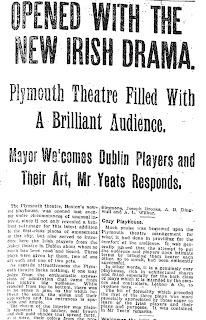 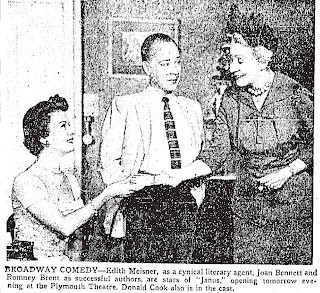 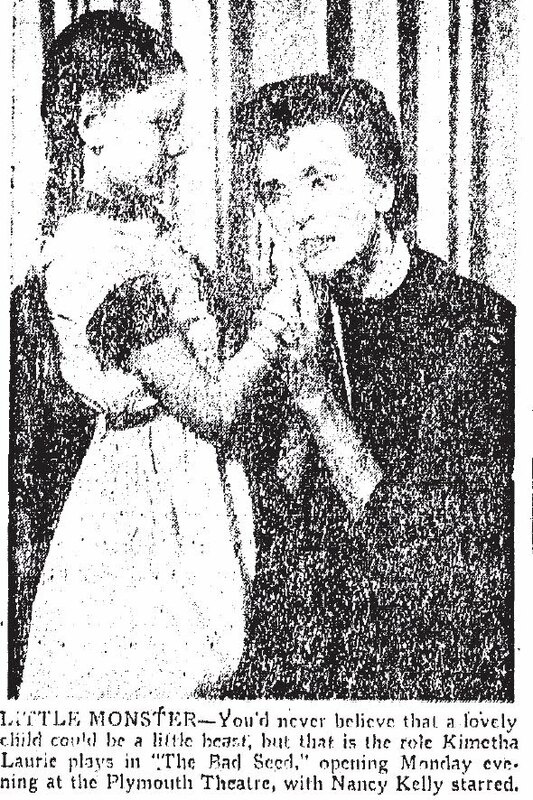 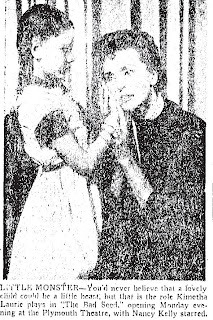 The opening performance of Irish plays with a company from Dublin was greeted with praise for the building and its many amenities for patrons. Gentle and effective lighting with methods other than central chandelier, less stairs to travel up to reach the two balconies and plenty of lavatories were some of the noted features. 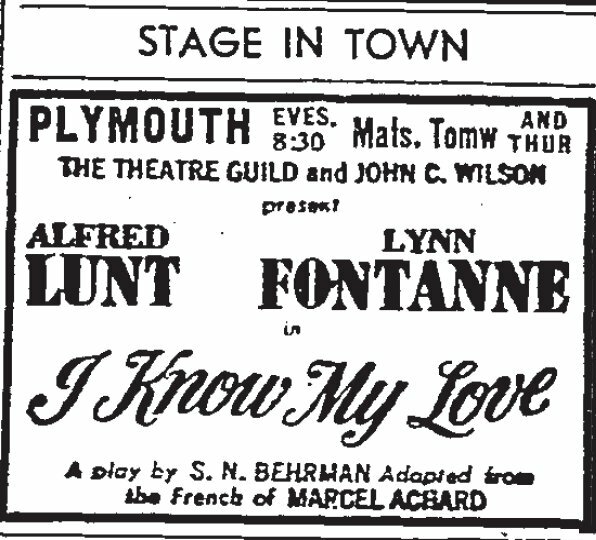 The Plymouth Theatre remained a busy feature in Boston’s theatrical calendar for all the years of its live performance use. 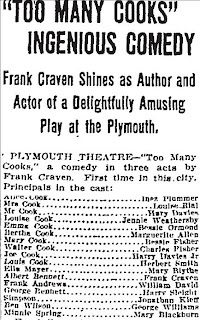 A favorite among actors and producers because of the intimate playhouse design, it hosted nearly all of the well-known theatre legends of the early 20th century at some time or another. 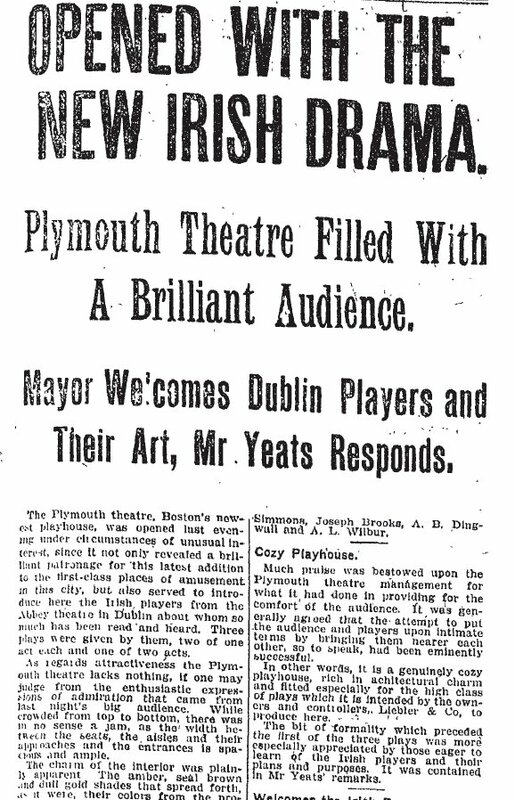 The players and plays from 1911 until 1957 reads like a who’s who of American theatre greats. 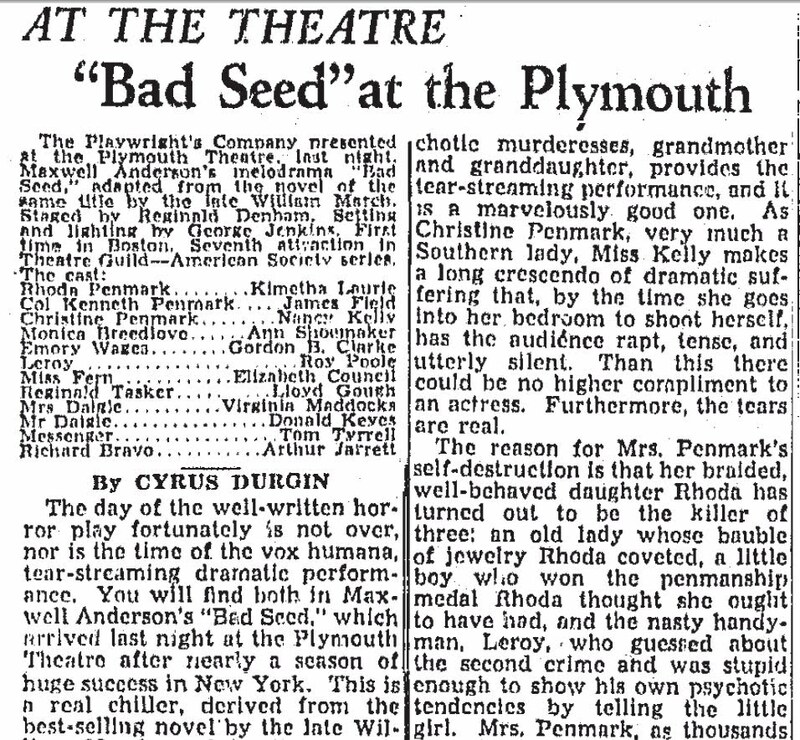 The Plymouth, although equipped with an orchestra pit, was mainly used for drama and comedy productions. 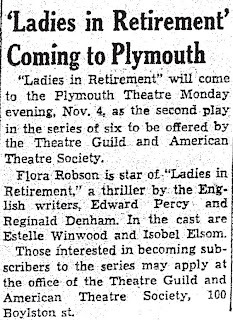 In researching for this update, I was in awe of all the fabulous productions that were staged within those walls and the Theatre Guild and American Theatre Society provided most of them for many, many years. 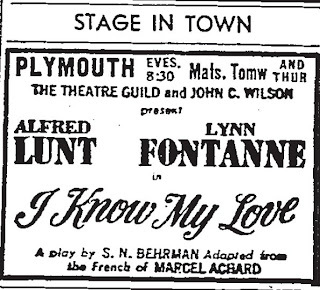 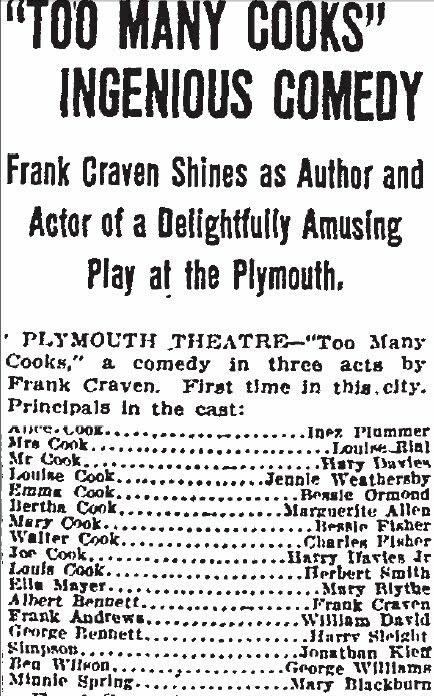 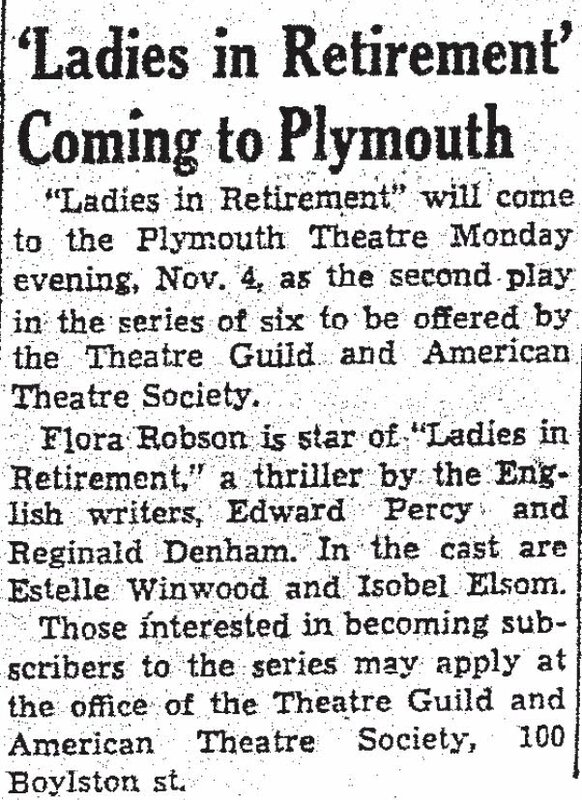 Shows on national tour, pre-Broadway try-outs, visiting shows from abroad and special theatrical events all were housed at the Plymouth over the years. 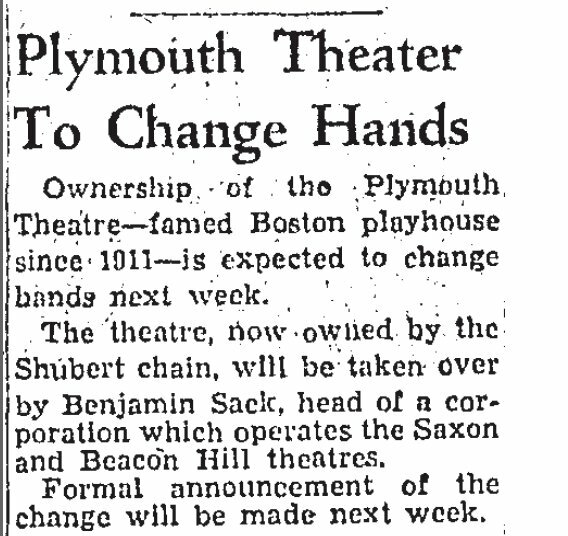 Year after year, the Plymouth Theatre remained one of the busiest houses in Boston’s theater district. 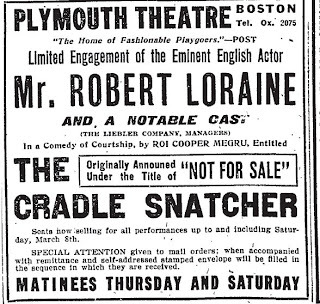 Leibler and Company were the original owners and sold to the Shubert’s in the 1920’s. 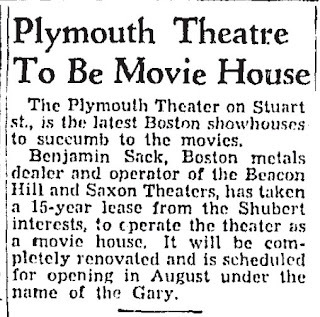 The Shubert’s held on to this Boston theatre magnet until 1957. 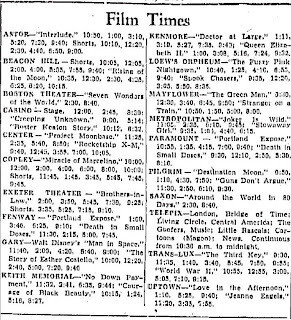 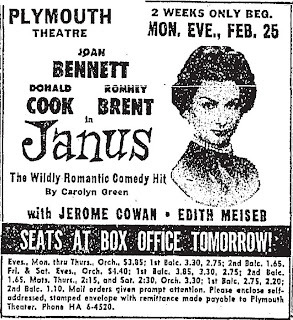 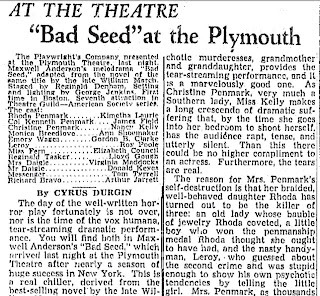 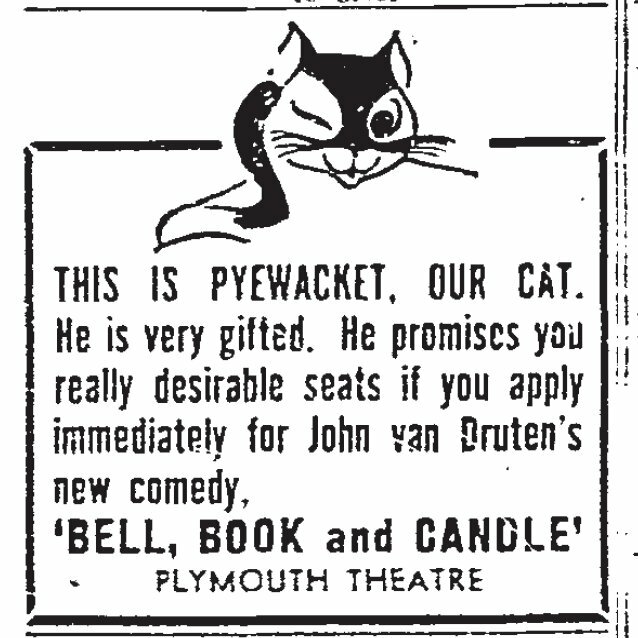 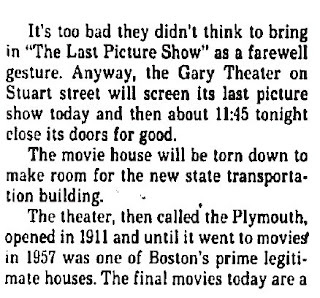 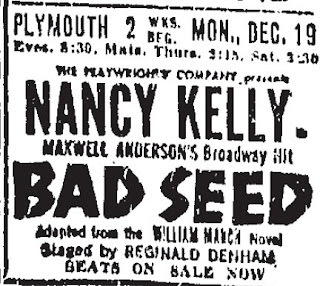 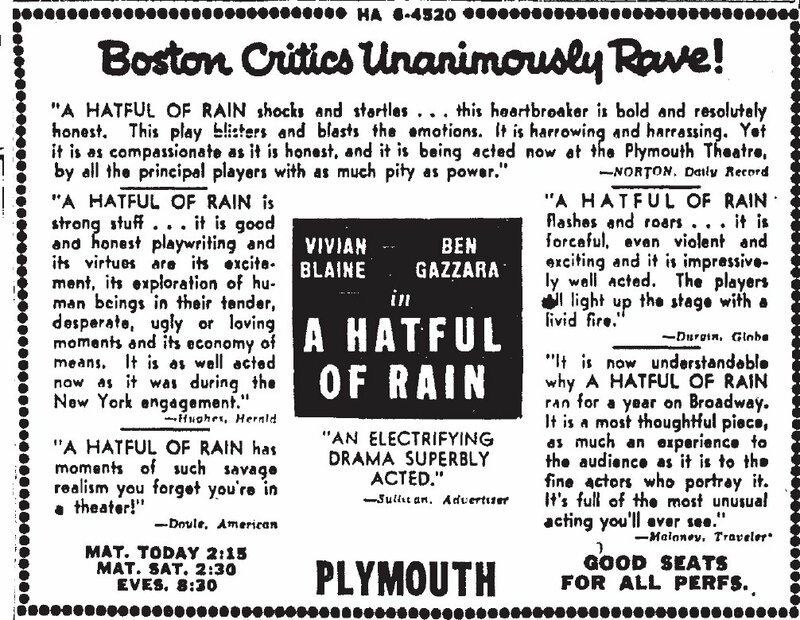 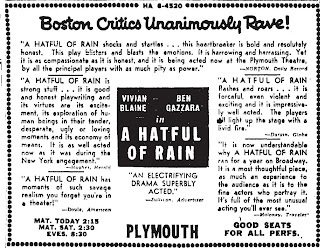 By 1957, Boston was feeling the “too many live theaters” crunch and even though the Plymouth had been very active, it was turned over to Ben Sack to become a movie house. 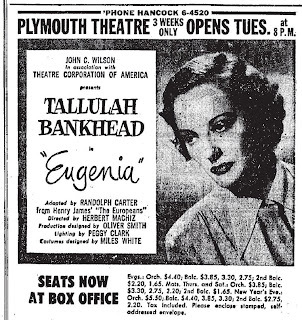 Ben Sack remodeled the interior from simple, fading elegance to that chic, 1950’s decor. 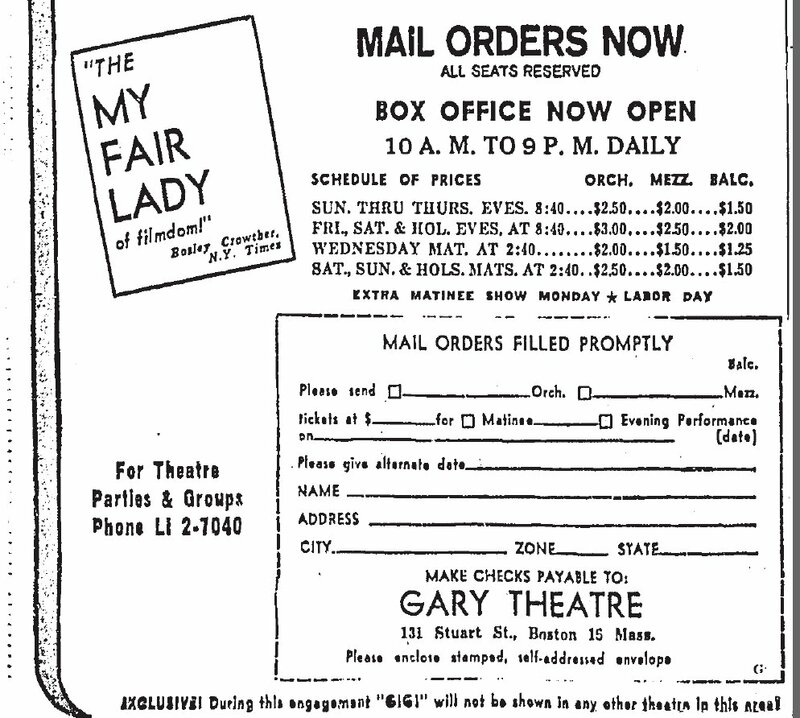 Gone were the graceful boxes that were on either side of the proscenium arch and gone were the first two rows of the mezzanine. 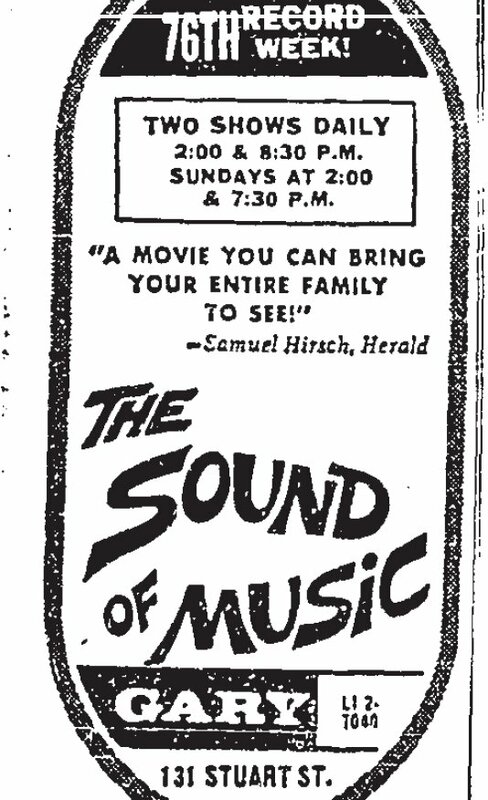 All lopped off to make room for movies and the need for wider viewing space for audience members seated in the rear of the orchestra section. 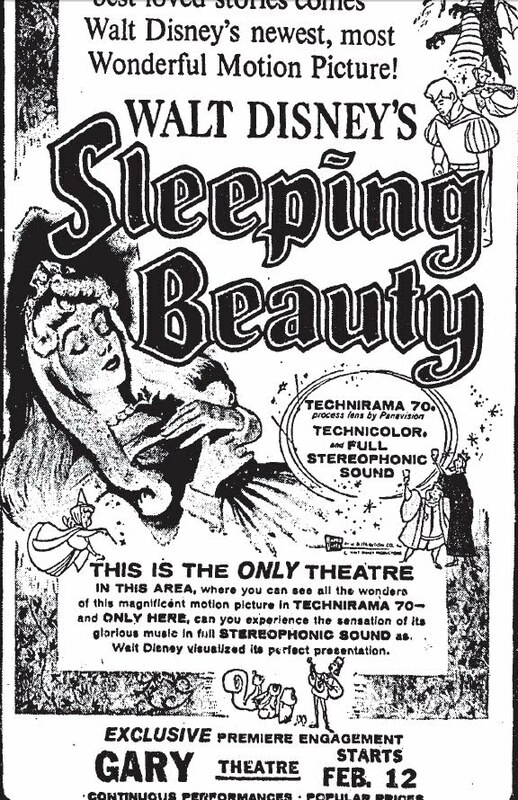 The proscenium arch was trimmed back to make room for the new “Todd- AO” screen. 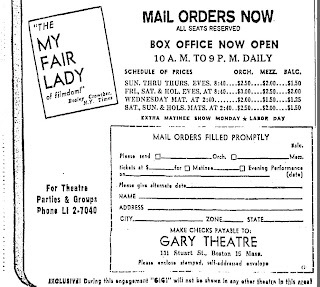 The seating reduced by 200, the wall colors now lively shades in keeping with the times, and a water fountain trickling into a pool with plants was inserted into the rear area that used to be for standees in the old days…the “new” Gary Theater was set to open. 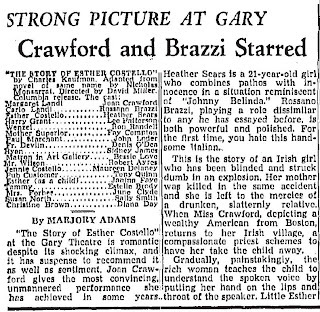 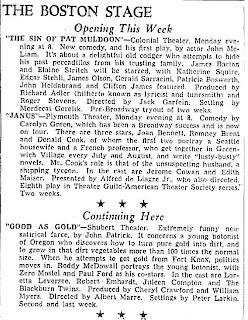 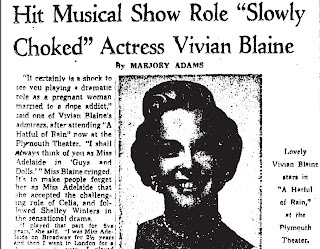 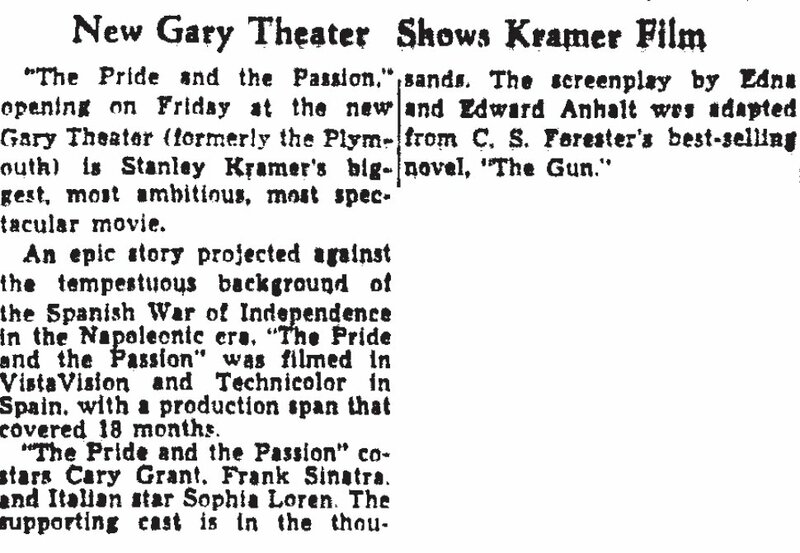 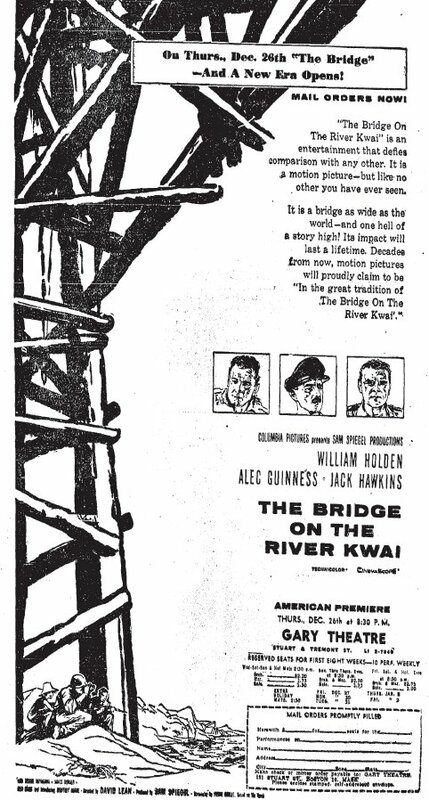 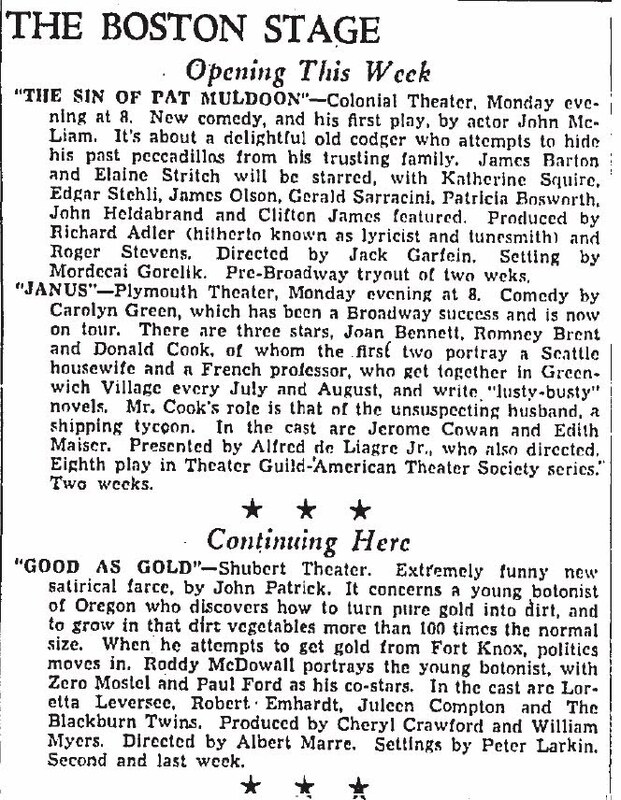 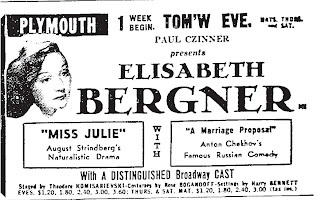 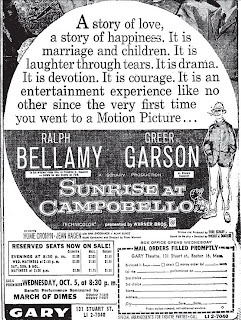 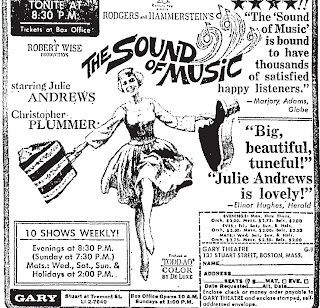 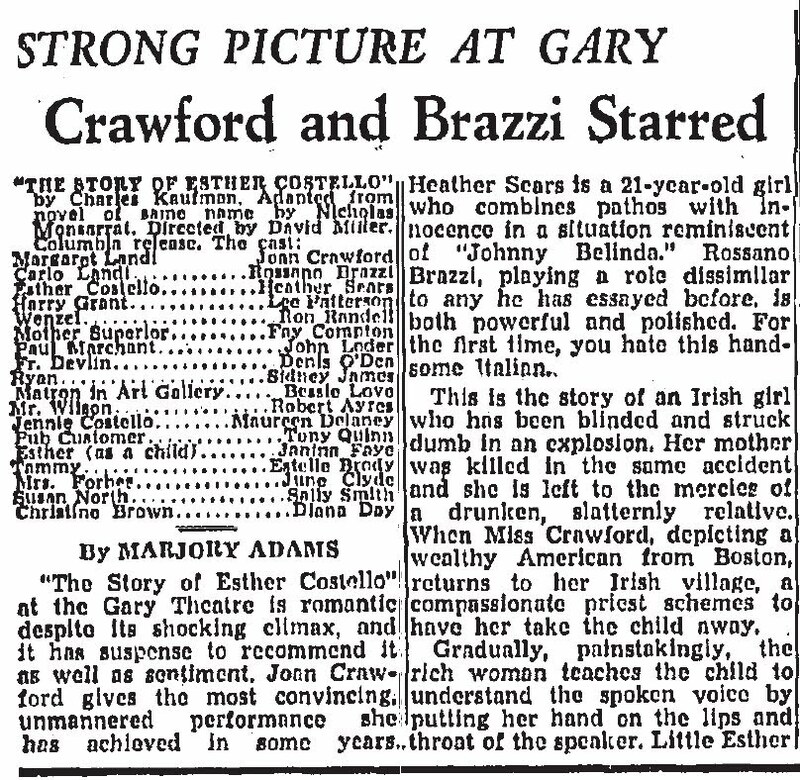 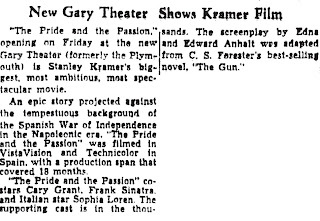 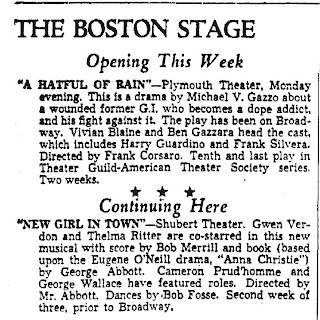 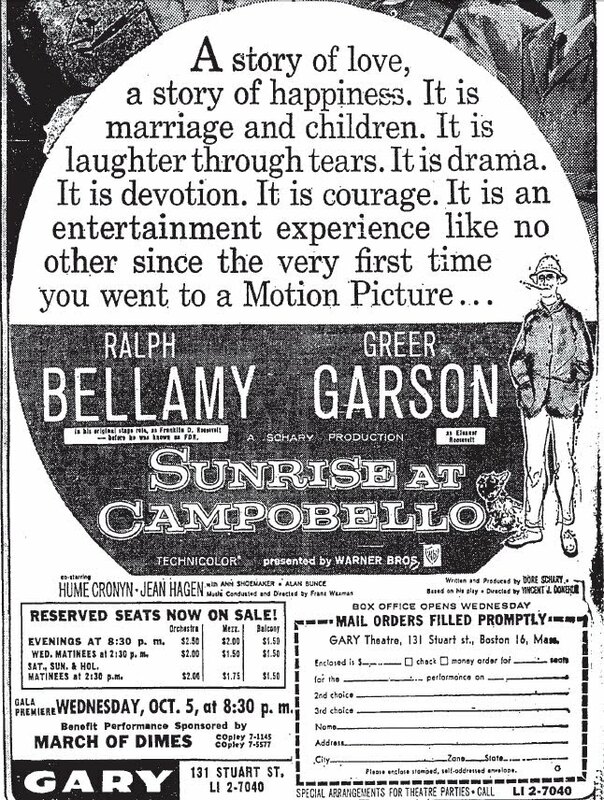 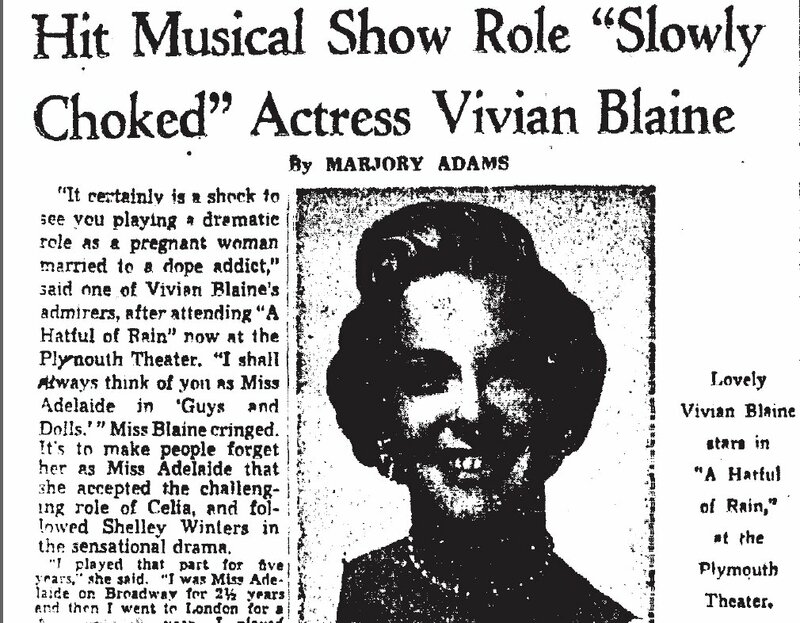 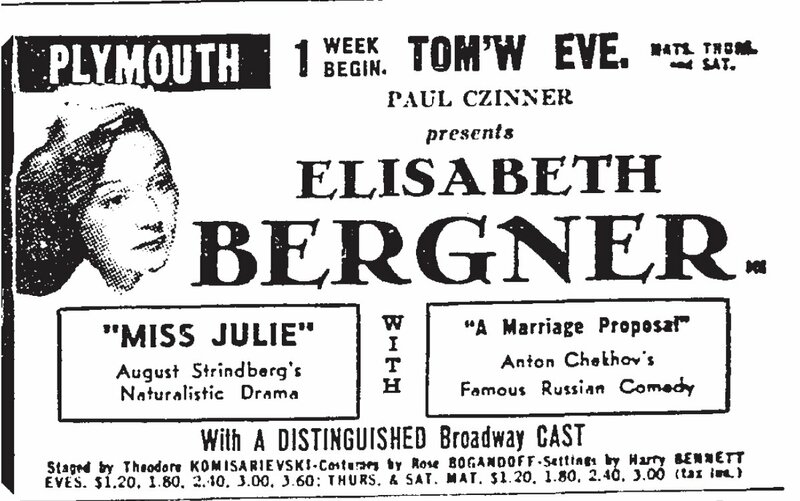 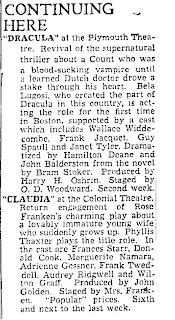 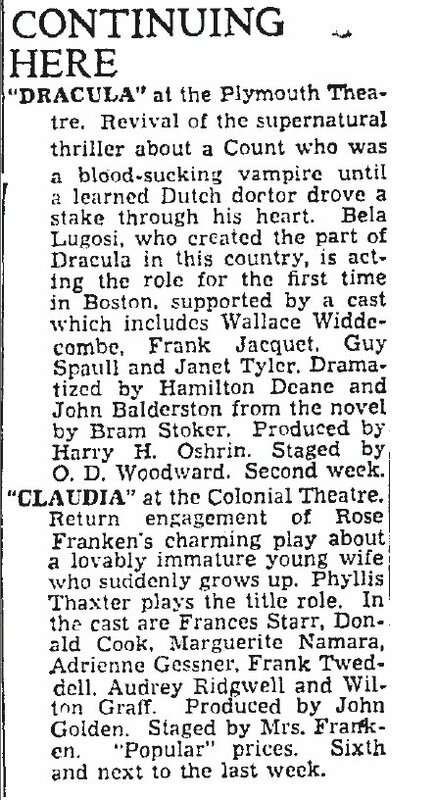 In August of 1957, “The Pride and the Passion” dazzled audiences and Boston had a new, exciting movie venue. Not a palace, like the Metropolitan or the Keith Memorial, a movie house with great acoustics and completely modern screen technology. 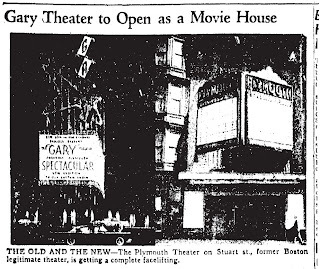 The Gary, named after Ben’s son, became the place for many big Hollywood releases for the next decade. 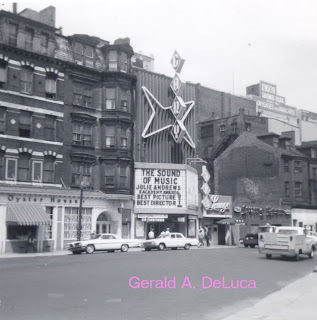 By 1959, ads proclaimed it the first cinema in Boston with full stereophonic sound. 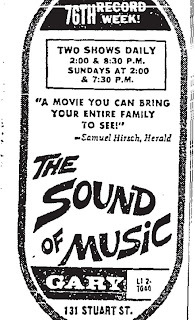 “The Sound of Music” ran at the Gary for well over a year. 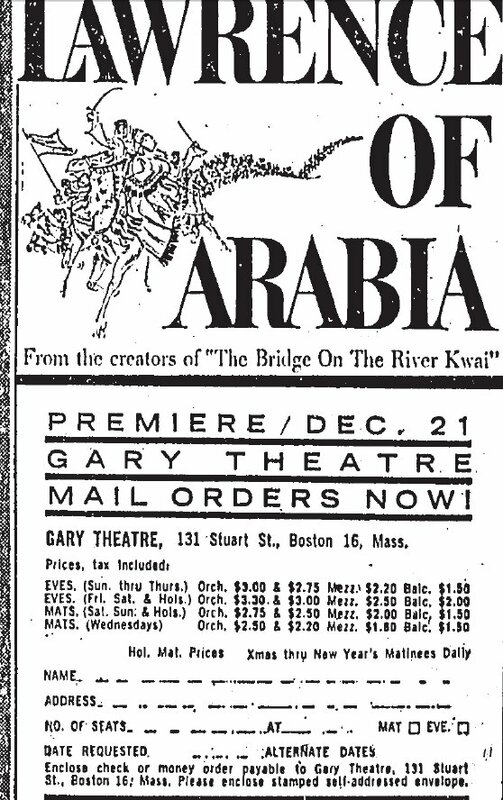 Selling tickets by advance mail order, like live theater venues, became a normal procedure for many of the bigger hits that ran exclusively in the Boston area for many weeks at this convenient location just a skip and a hop from the Green Line. 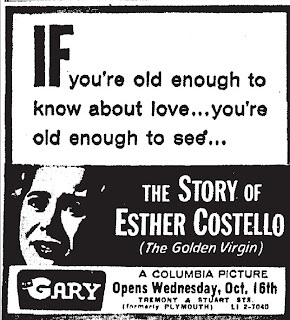 The Gary maintained this status into the early 1970’s and then began a slide downward. 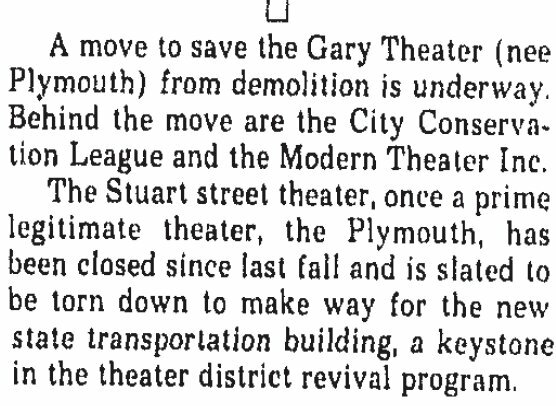 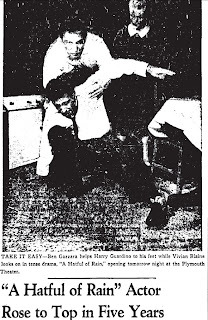 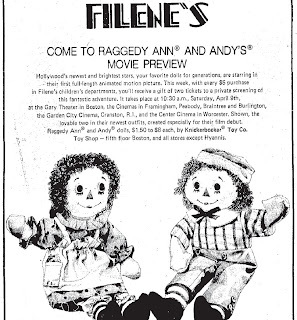 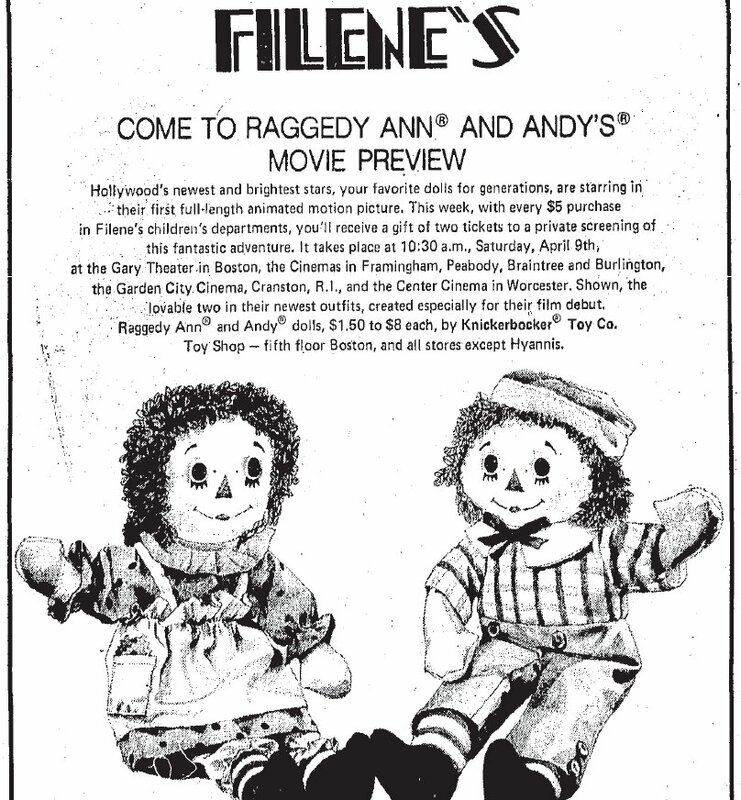 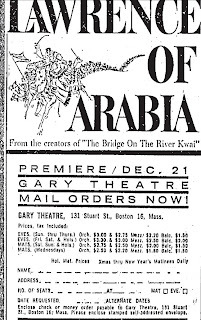 Sack’s theater chain grew larger and the role of the Gary seemed to diminish. 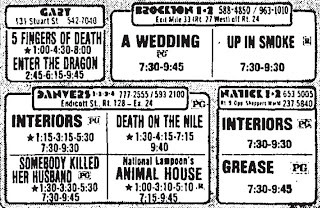 Horror films and action movies began to dominate the marquee and the neighborhood in general was not the place families tended to go much anymore for a night out. 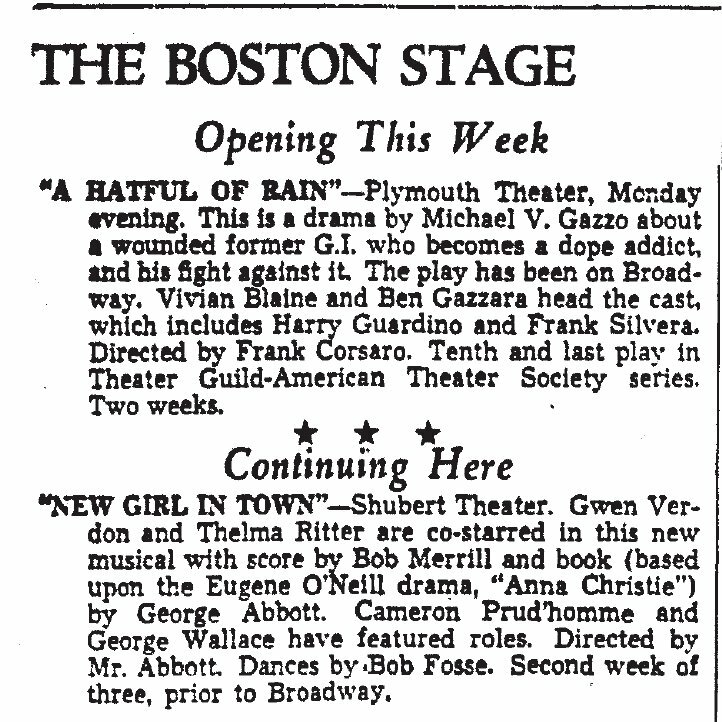 I saw the Gary Theater for the first time in October of 1978 when I was walking back up Tremont Street after seeing the first Boston stop of the national tour of “Annie” that was playing at the Shubert. The marquee sadly read a few words of goodbye and thanks. 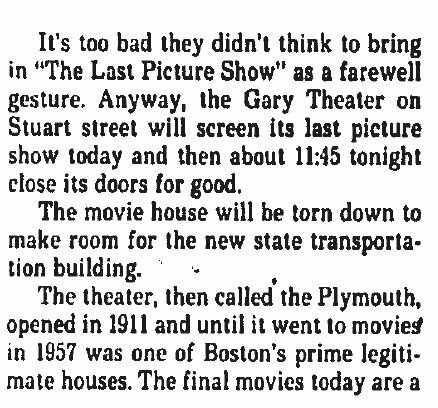 I was aware that Boston had plans to tear down the little old theatre and its nearby friends and replace the group with a large, new building. 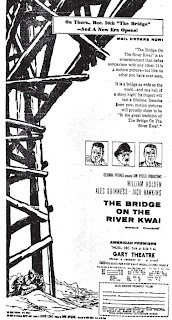 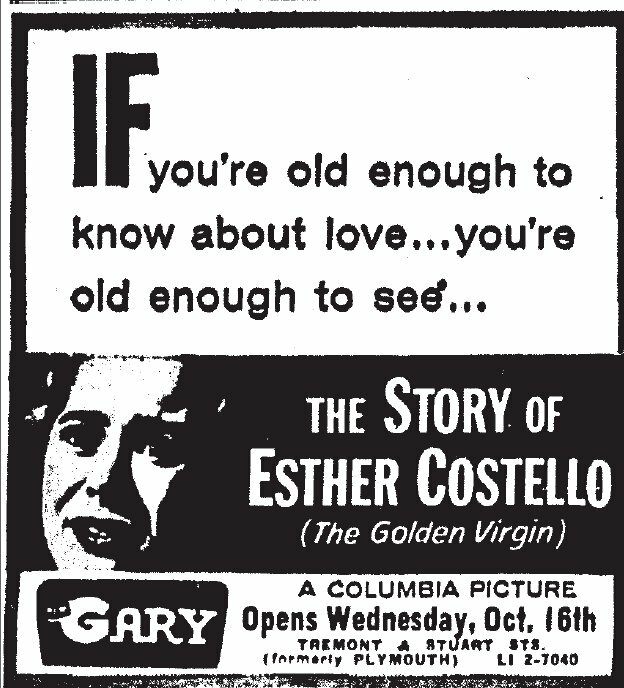 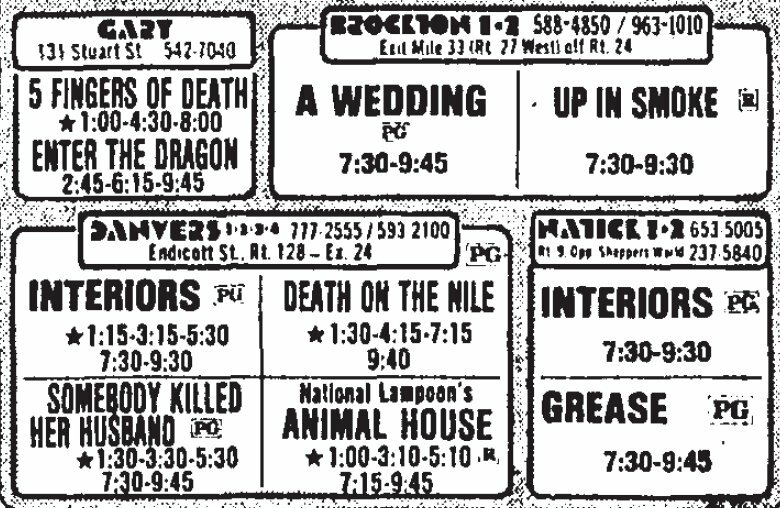 The last film to be shown was a double feature of karate films and that October the Gary Theater closed for good. The protest failed, an auction was held to sell-off all sorts of bits and pieces and the building vanished between mid- 1979 and early 1980. I recall the “new” empty lot next to the Saxon Theater looked ominous and very desolate. The theatre district was shrinking and looking like it was gasping for survival now as the 1980’s began. 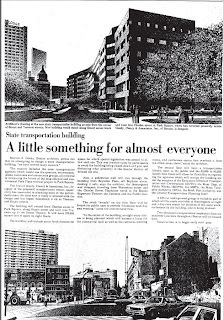 This scenario was becoming all too familiar in Boston. 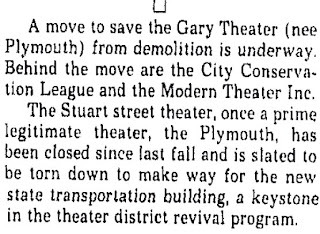 The Gaiety Theatre on Washington Street went this way as well two and bit decades later. 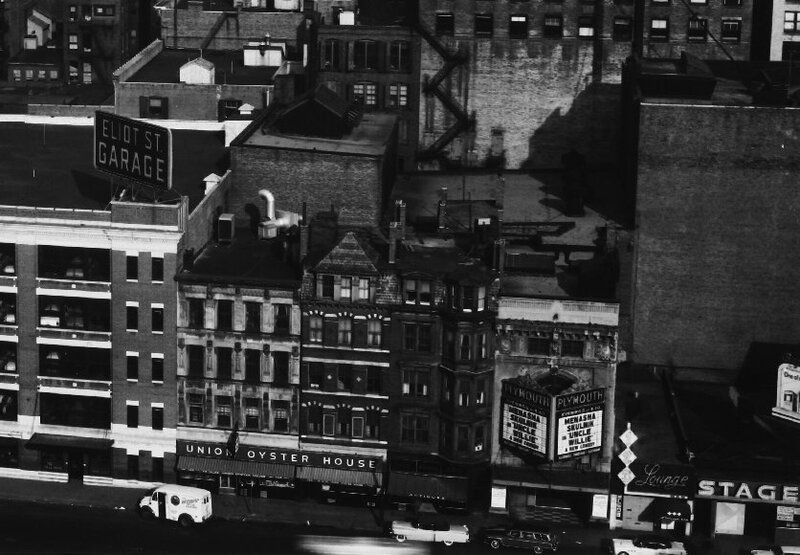 Another victim of the times and the power of redevelopment. 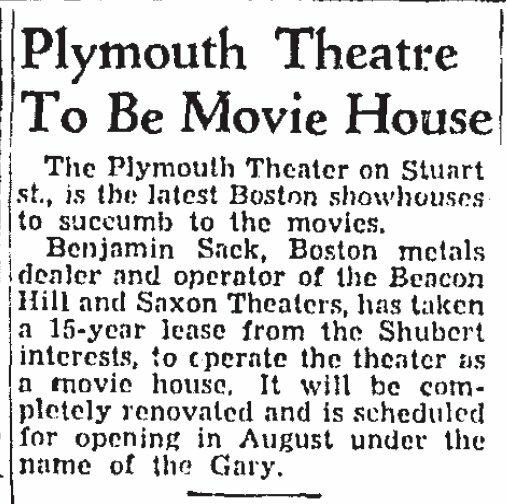 Please enjoy this fond look back on the Gary, pardon me…Plymouth Theatre that once sat in Boston’s theatre crossroads. 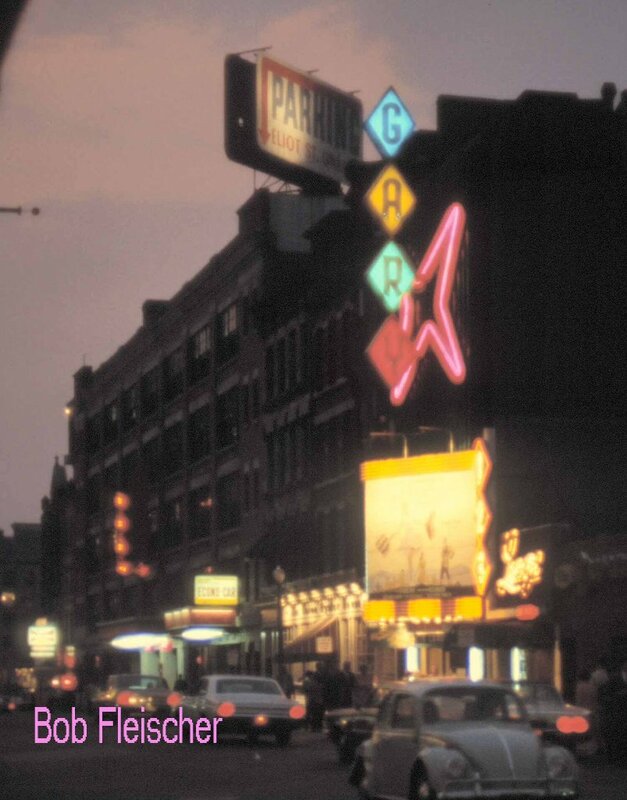 Jan's New Site-Check it Out!